Manufacturer & Exporter of Detergent Plant. Our product range also comprises of Namkeen Processing Machine, Rice Mill Machinery and Noodles Processing Machine. 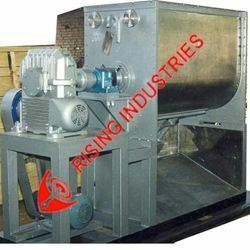 We are involved in supplying supreme quality Detergent Mixing Machine. This machine provides a fast mixing speed and can satisfy the rigorous demand of mixing the materials with different physical property. Moreover, this machine is extensively used in the chemical industry and is made available in at economical prices. The speed of this machine is adjustable and energy saving. We have been counted as major manufacturer and supplier of finest quality Detergent Plant. This detergent processing plant is widely demanded for its efficient performance and low maintenance. We have used industrial grade steel alloy to craft the body, which makes it resistant to chemicals and capable to withstand higher temperature. We are recognised amongst trusted manufacturers and suppliers of Detergent Mixing Machine. 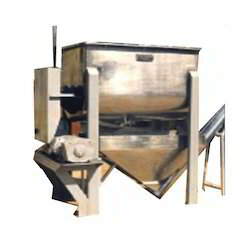 This machine is used for mixing slurry materials in the production of detergent powders.